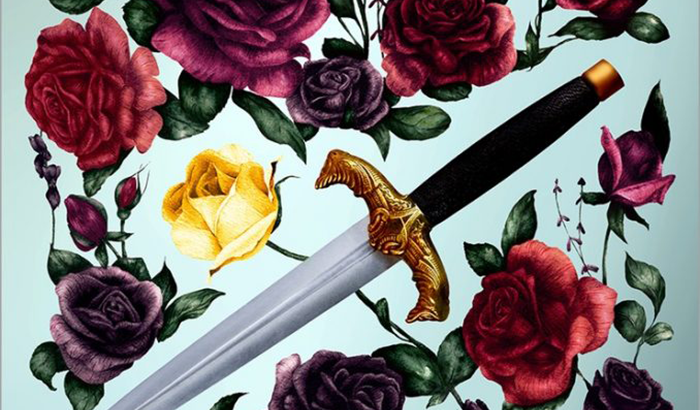 When I was first introduced to The Traitor's Kiss by Erin Beaty, I was captivated with it's pitched premise - a tale about a girl that society deemed to be ill-fit for marriage. How so? Her snarky remarks, her "less than lady-like" mannerisms, and her views on the world around her appeared to make her stand out more than socially acceptable, and thus I was eager and curious to discover what made protagonist Sage Fowler an inspiring enough character. Unfortunately, I failed to fall for Sage or the premise in The Traitor's Kiss. 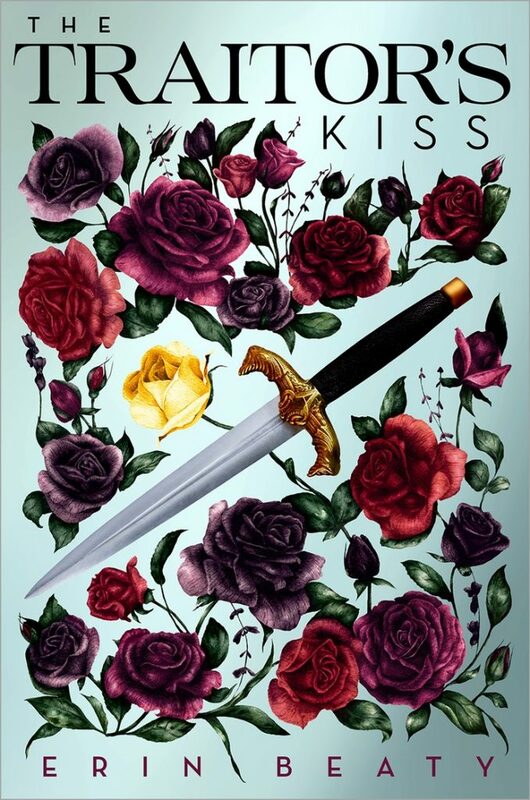 It always hurts to say that I did not enjoy a book, especially one I was so desperately eager to read, but I felt like Erin Beaty's first title in the Traitor's Kiss trilogy fell shortly for me. Though, that is not to say that the title was poorly written and was not enjoyable in the slightest. In fact, it was the contrary. 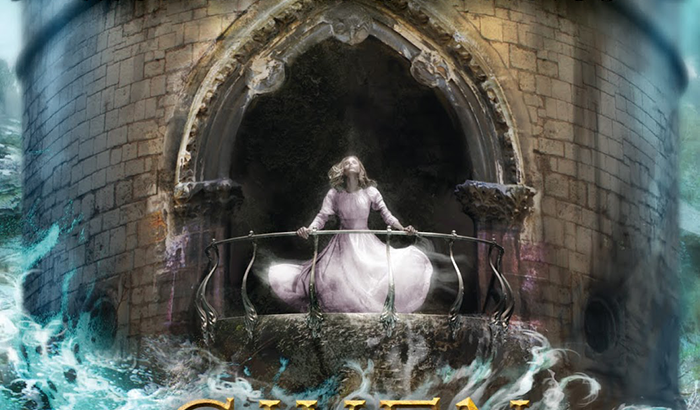 Erin Beaty's writing was lively, fluid, and highly descriptive, and additionally the general idea behind the story she had planned for protagonist Sage and for her surround supporting characters, was quite interesting and was, in fact, one of the things that first pulled me to the story. It was unfortunate, however, that the first few chapters were what inevitably lost me as I felt there wasn't a substantial amount of development between Sage and her fellow supporting characters in order to keep me interested. 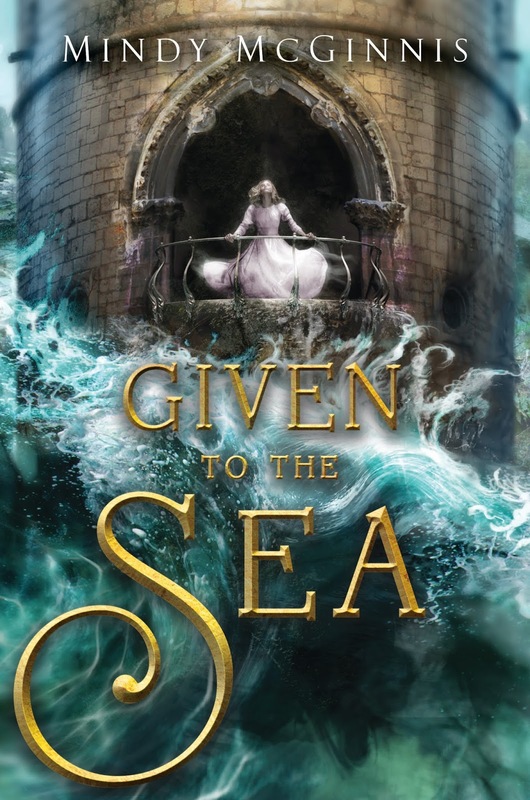 Even so, I will most definitely be reading the next installment in Erin Beaty's series. I am curious enough to discover what Erin has in store next for the series. I also highly encourage readers to put The Traitor's Kiss on their to-read lists. Although it fell shortly for me, it does not necessarily mean that it will do the same for you. The title had many positive aspects, and I highly encourage all young adult readers to give it a try! 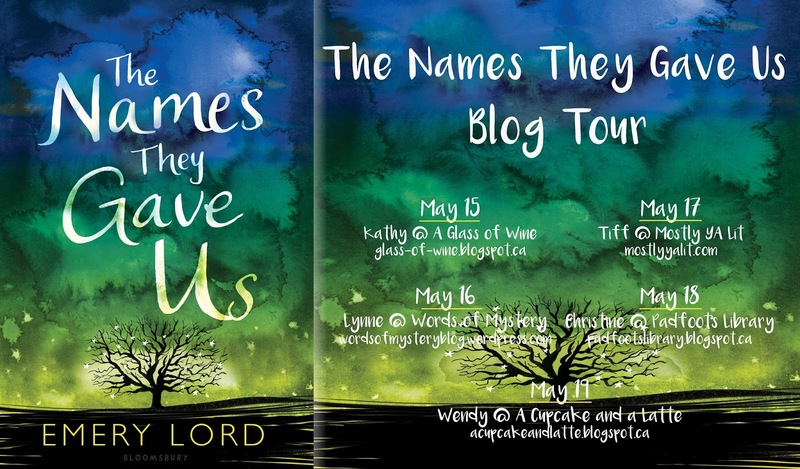 Today it is my pleasure to host the final stop on the The Names They Gave Us blog tour! Hosted by Raincoast Books, the blog tour has spanned the entire week with some fantastic bloggers sharing their personal thoughts on Emery Lord's latest novel in addition to some amazing Q/A sessions with the author herself! If you haven't already, I urge you to check out the tour posts - they're amazing! Below, you will find my candid review on the novel in addition to Emery Lord's answer to my question. I want to extend a thank you to the team of Raincoast Books and Emery for making this blog tour possible. I honestly feel like anything with Emery Lord's name on it is an auto-buy for yours truly. I was impressed with her debut, OPEN ROAD SUMMER, and immediately not long after followed suit in binge-reading The Start of Me and You, in addition to When We Collided. When you think YA Contemporary, Emery Lord is a name that pops up quite often and for good reason - she's a spectacular writer! When The Names They Gave Us arrived on my door step, I couldn't wait to prop it open. What strong-willed heroine would I meet next? Would she be more like me, or maybe someone I know? Would I get to witness a unique personal growth for our heroine? I couldn't wait to learn more about Lucy Hansson! “I believe in nature, in science, in jazz, in dancing. And I believe in people. In their resilience, in their goodness. This is my credo; this is my hymn. " 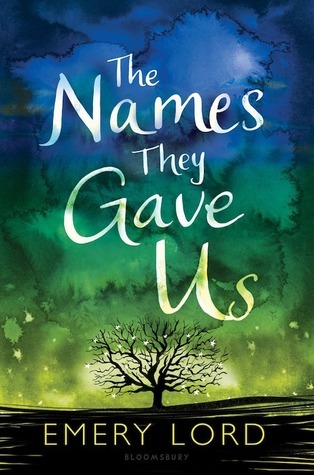 The Names They Gave Us was exactly what I expected it to be - life-changing, well-written, and so inspirational! Lucy was a character I so strongly related to, and the personal connection I felt with her through her experiences, struggles, triumphs, and failures, was astonishing. I feel like Lucy is one of the strongest characters I've read from Emery Lord yet, and I feel readers, even those who they themselves do not feel particularly religious, will enjoy. And although much of the book focuses on Lucy's coming to terms with her faith and learning so much more about herself, I felt that the book's strong message never faded from the surface, and I feel that Emery's beautiful writing and character building made for such a telling and inspiring story. 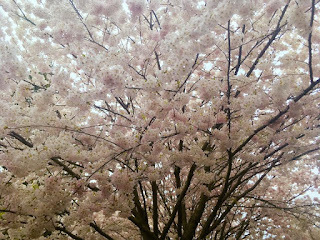 It was bliss! Q: Emery, I ultimately loved following Lucy on her journey, and I want to thank you for making such a relatable character. I felt like I truly connected with her, having shared many of what she goes through in THE NAMES THEY GAVE US, and I found her loyal and brave personality immensely inspiring. My question is, how much work went into developing Lucy and her growing relationship and understanding of faith? A: Thanks! I spent years on this book, and Lucy’s path was an integral part of that. 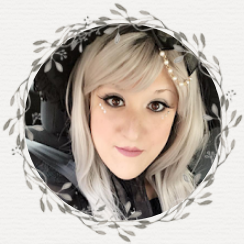 I wanted to be really honest about what it can be like to grow up in a religious culture and how it feels when you start to harbor doubts. So, I did use a lot of knowledge from my own life. 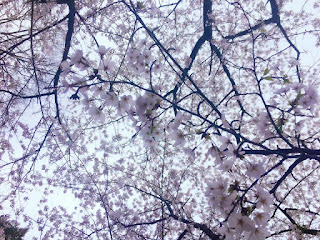 But, in a broader sense- beyond faith even, I wanted to write what it feels like as a teen to realize you may not want to do things the way your parents do. So, while there’s a lot that is particular to Lucy—the music and touchstones of church life—I hope some of it is pretty universal. 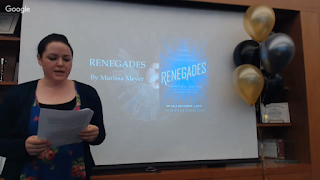 On May 6th of 2017, Raincoast Books invited Canadian book bloggers to attend this year's Fall 2017 TeensRead Preview event, in order to introduce and discuss highly anticipated young adult and middle grade titles. I have always looked forward to this event with great anticipation, however I unfortunately could not attend in person for the Fall preview due to an already full schedule. However, luckily Raincoast Books, as they have before, wonderfully set up a Google livestream of the event for everyone who couldn't physically attend. With that said, I immediately joined in on the fun when the event began, and gasped at all the incredible titles that quickly jumped onto my highly anticipated release list! 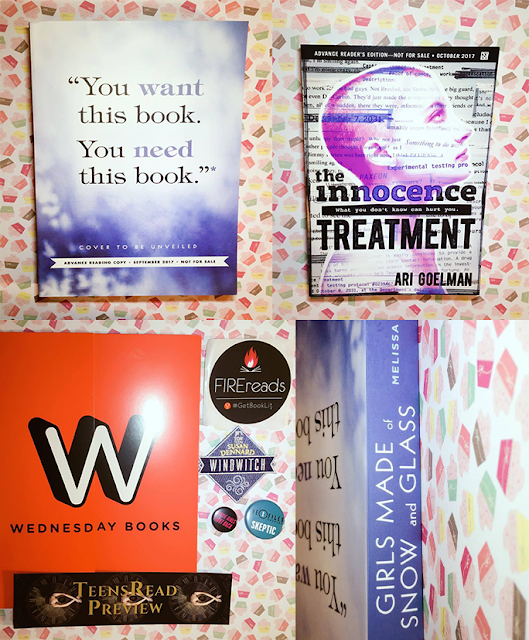 The event kick-started almost immediately with the introductions of our courteous hosts and dove immediately into discussing some of this fall's most exciting teen titles. 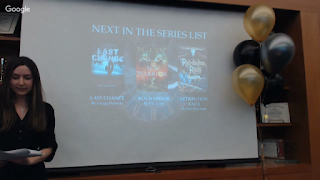 Below you will find a list of all the titles discussed at this year's fall preview event, including an additional list of my most anticipated releases! 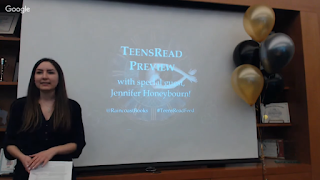 Following the upcoming title discussion, we were greeted by Jennifer Honeybourn, this year's Fall TeensRead preview event guest of honor! She spoke of her upcoming title, Wesley James Ruined My Life, an upcoming July 2017 contemporary title that sounds spectacular. 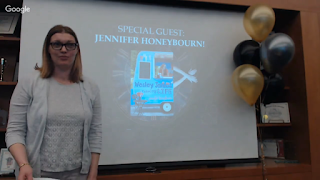 She discussed getting published and gave us a sneak peek into her upcoming title, and additionally answered some questions from attendees. 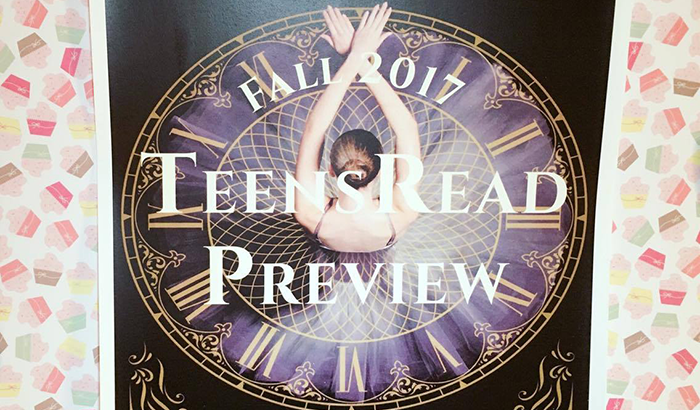 All in all, I found this year's Fall TeensRead Preview Event to be highly informative and exciting! I came away with a new list of incredible titles I can't wait to read. I want to extend a big thank you to the team at Raincoast Books for putting together another flawless event and for extending an invitation to me. 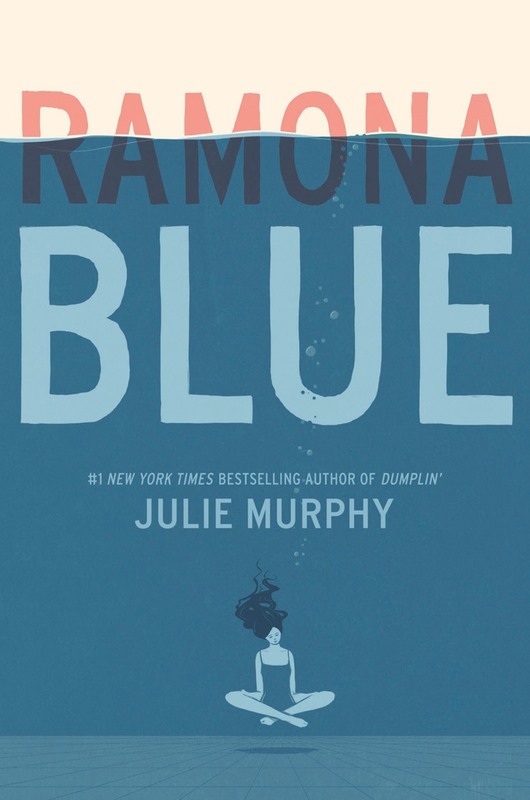 I wholesomely believe that Julie Murphy's RAMONA BLUE is the book to read this year. Drop everything you're doing and pre-order it or make a pit-stop at your nearest bookstore/library and pick this beauty up. 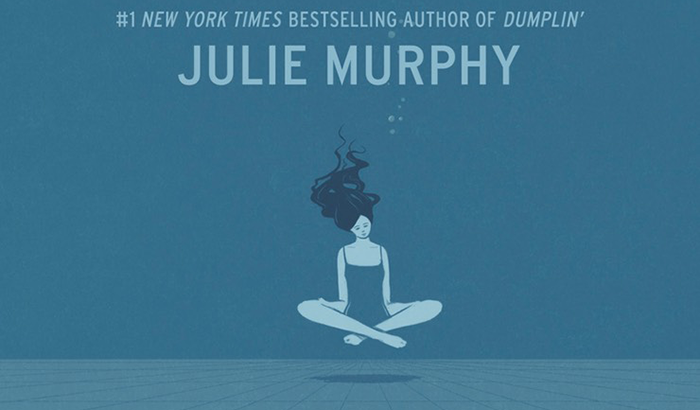 If you don't know who Julie Murphy is, she's a book-writing splendor. Her debut, DUMPLIN', was highly received by readers and critics all over the world. It focused on the tale of self-proclaimed fat girl Willowdean Dickson who adores everything Dolly Parton. She was an inspiring character through-and-through, and by reading her story I found myself resonating with her on a level I didn't think possible. It was a powerful story about loving yourself, bullying, and love, and when I officially learned of Ramona Blue, I was hoping for something just as powerful! “I love you, too,” I whisper back with my lips already pressed into hers. She tastes like SpaghettiOs and the cigar we stole from her dad’s portable humidor. Her lips are chapped and her hair dirty with salt water from our midnight swim just a few short hours ago. I feel her dissolving into a memory already." Ramona Blue is just as inspiring, powerful, and moving as Dumplin', or rather perhaps even more so. Protagonist Ramona is a larger than life character who is positive she knows who she is. She knows what she wants to do in life, where she plans to be in the future, and is positive of her attraction towards girls. However, when her old friend Freddie returns and invites her to swim, Ramona finds herself being attracted to him in ways she never thought she would. In this, Ramona begins to question every aspect of her life, her fluid attraction, and her responsibility towards her family. Ramona Blue floored me. I, honestly, haven't felt so inspired from reading a book in a long time, and Julie Murphy's Ramona Blue brought up many important topics worth discussing. Ramona's need to take care of her family and keep things together resonated deeply with me, and I absolutely adored how every character throughout the story was realistically imperfect. Additionally, and I don't mean to preach, but Ramona is the character many of us need/needed during our teen years. Someone who was unafraid to face the world, and someone who challenged herself. I truly adored Ramona's journey and I hope you will, too. Ultimately, Ramona Blue was the feel-good and realistic book many of us need. It was human, it had perspective, and it completely blew me away. It's an absolute must!